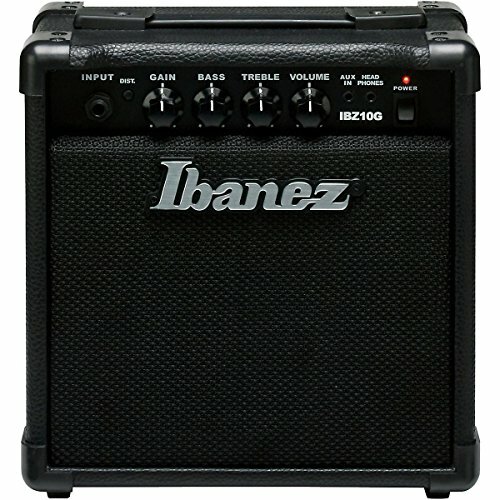 The Ibanez IBZ10 Guitar Amp is an excellent small scale amplifier producing 10 Watts of power and incredible sound. The 6? speaker delivers a tone which can be adjusted with the 3-band EQ for fine-tuning your treble, mid and bass. The IBZ10 features switchable boost, to give your guitar that extra kick. Practice in private with the headphone output, and customize your sound by adding reverb.